Long time between crochet post's. Hope every one had a safe Christmas and new year! I have been crocheting, just not blogging about it, probably too busy crocheting. I made quite a few gifts this year. My favorite gifts were a bear and a horse that I crocheted. 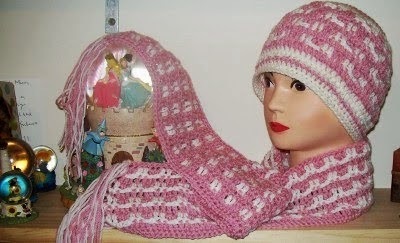 They were form the Heidi pattern range which can be purchased online. I made the pony first and I wish I had put something sturdy in the pony's neck part as it does droop a little. The pony was made with 32 shapes whilst the torso of the bear had 32 shapes alone which meant much more work, I did not follow the instructions to use several different sized hooks for the torso of the bear, so the body was a little out of shape, but I covered up the bear with an apron I created. I also made beaded crochet ropes for the lovely ladies in my life, these take about 6 hours to make which includes tedious threading on of the hundreds of beads first. 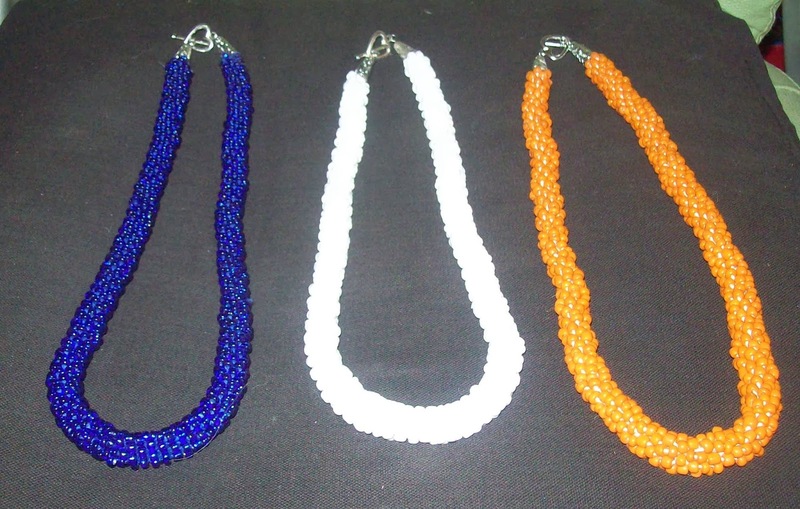 If you want to make these, youtube has many tutorials available, just search for crochet beaded rope. The 3 below were a request after one of my daughters friends saw hers, she wanted some for herself. Right now I am making more of the snowflake baby blankets, they were a hit! Love jobs, but I love to give/share! There a lot's of baby's coming this year. Labels: Crochet for Women, Small Gift Ideas.